Quinn and Dworakowski providing the highest level of family law representation. Uniquely qualified trial attorneys with over 40 years of experience advocating for you. A full service family law firm, Quinn & Dworakowski is the "go to" firm for clients facing contentious issues related to spousal and child support, child custody and visitation, as well as protecting clients' high-net-worth estates. Experienced trial attorneys with a proven success record. A high net-worth divorce needs a particular type of attorney. That attorney needs to be experienced, prepared and willing to fight for what you deserve. 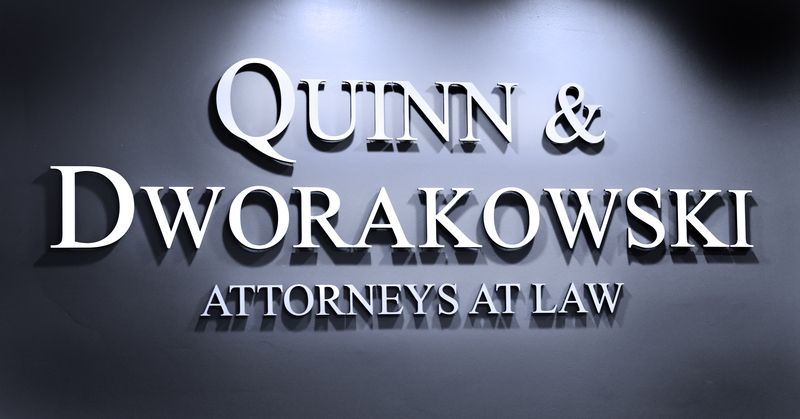 You'll find a team of those attorneys at Quinn & Dworakowski, LLP. Quinn & Dworakowski is home to the family law attorney you need to take on your case. We're trial attorneys who work with many high-profile clients. You can expect us to take a team approach to every case so that you have many minds working every angle. Talk to us about your goals, and we'll work toward a resolution that will best serve them. Although we have experience in the courtroom, not every case needs to go that far. If a settlement makes more sense for you, we'll pursue that route. Regardless, we'll continue to handle your case as if we are going to litigate so we're in the best position to negotiate a settlement on your terms. Contact us right away for representation and guidance from a high net-worth divorce attorney in Irvine, CA. DAVID DWORAKOWSKI PREVAILS IN CASE TRIED IN CENTRAL DISTRICT COURT. VERDICT: FEDERAL JUDGE THROWS OUT 20 MILLION DOLLAR LAWSUIT! Get in touch with a family law attorney now for the legal help you need. We've worked hard to develop a reputation for our preparation and professionalism. In fact, we've been helping people in Irvine, CA with divorces, child custody agreements, domestic violence issues and prenuptial agreements for decades. Our high net-worth divorce attorney can handle contentious issues related to valuable estates. We also know when it's in your best interest to settle or take your case to trial. Reach out to us right away to put your case in experienced hands.